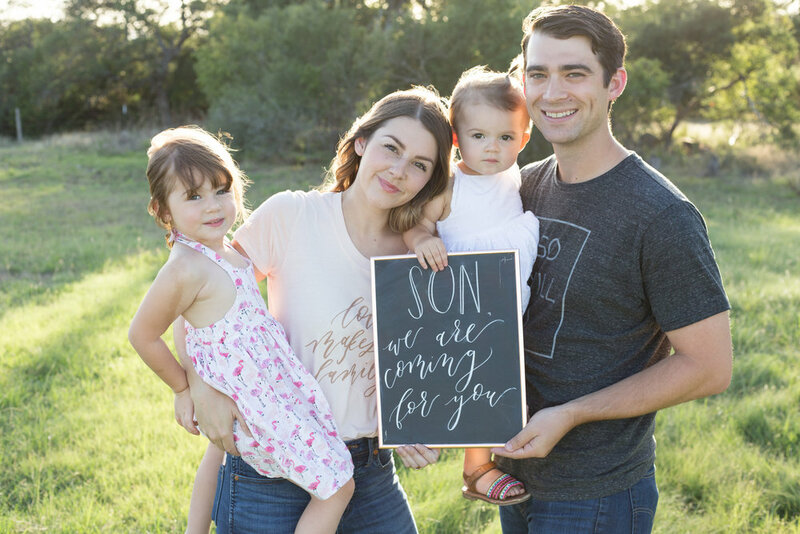 Our heart for adoption comes from many reasons and the more we walk through this process, the more our excitement and assurance that THIS is our plan A for our next baby! So while I feel like I could talk your ear off about allllll the reasons, I’ll just share with you the main motivations- the ones that make our hearts flutter. We know that, as ready and excited as we are to welcome home our son (yes, we can request a boy! ), somewhere there is a girl who is either walking or about to walk through one of the most heart wrenching seasons of her life. She, our boy’s first mama, is our why. 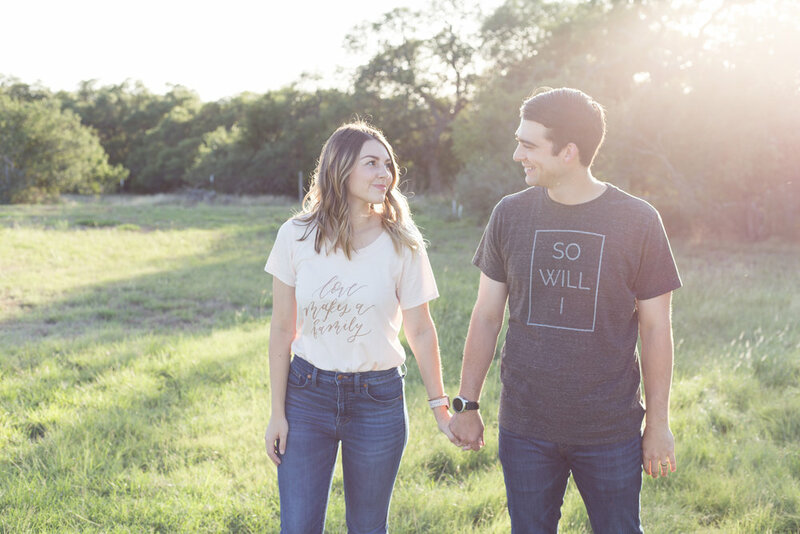 Ever since we first started dating, Dylan and I have talked often about our shared heart for those who find themselves in unexpected and crisis pregnancies. The Lord has given each of us a passion for these women and the babies they carry, so it just felt natural to pursue a domestic infant adoption. Yes, there is a need for loving foster homes for children already in the system. Yes, there are orphans overseas who are waiting for their forever family. But there is also an absolute need for families to step up for expectant mothers making an adoption plan out of their deep love for their baby. I was reassured of this by the agencies and consultants we spoke with, who confirmed that there is a great need for more adoptive families, especially those who are open to babies who are statistically harder to place (those with drug/alcohol exposure, family history of mentall illness, medical complications, and, heartbreakingly, those with darker skin.) Because of our openness to whatever child the Lord has for us, paired with our desire to walk this journey alongside our child’s first family in an open adoption, we knew God was calling us to adopt a newborn right here in the US. As we walk this road, even in these early stages, we continue to be humbled by this opportunity. We pray daily for the courageous mama who will eventually choose us to raise her precious baby. Dylan and I truly believe that every life is precious and worth living, and what an honor it is for us to be her option for life! The best bonus of this journey so far has been the tiniest sneak peek at how the Lord views us as adopted children. While it’s an imperfect example, it is so sweet to think of how Jesus pursued me and fought for me before I ever even knew he was coming, just like we are for our son. Right now, our boy has no idea how we are praying for him and fighting for him through what seems like an impossible amount of money to be raised, a huge cost. And honestly, it would be so much easier to just say “nah, we’re good,” but because of our deep and fierce love for him (and his mama), we are willing to pay the price to bring him home. (Granted, the price Jesus paid was his LIFE, not 45k… I said it was an imperfect example.) We already love them and are fighting on their behalf, they just don’t know it yet. Ultimately, adoption is a picture of the gospel! And it is a beautiful redemption of sin. We are on this journey with equal parts excitement, humility, and trust. Thanks for being on our team and for your support- it means more to us that you will ever know!